Its an honour to finally join the dreamcancel forums. Ive been playing kof 13 like a madman ever since it got released. Hope you guys enjoy, love the kof series. you are the 7k of 3d games, keep the good job! Ha ha, I haven't actually got around to doing any SNK characters for this one yet. In SCIV, though, I had a Galford and Jubei. I was most proud of my Lina Inverse (Slayers) and Guts (Berserk) though. Good stuff, by the way! That Robert and Yuri are pretty sweet, as is the Genjuro and Mai. 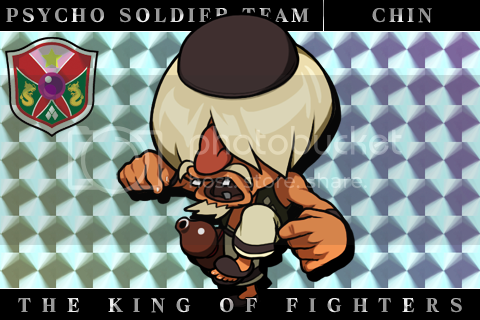 haha i love it, anyone else got any other snk character designs? i should be making some more real soon. loved the samurai showdown designs. It somehow fits into the soul calibur universe. Damn, I love all the stuff I'm seeing. I'd really love to see that Charlotte fight.